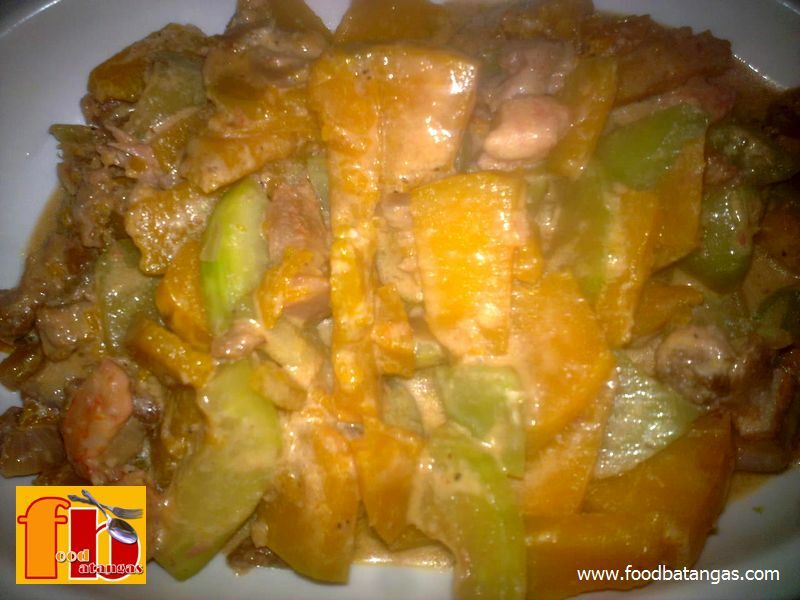 This unorthodox mix of vegetables shows what a perfect relationship coconut milk enjoys with shrimp paste and chili. When you come to think about it, just about anything can be cooked using the trio of ingredients, as most Bicolanos will attest to. 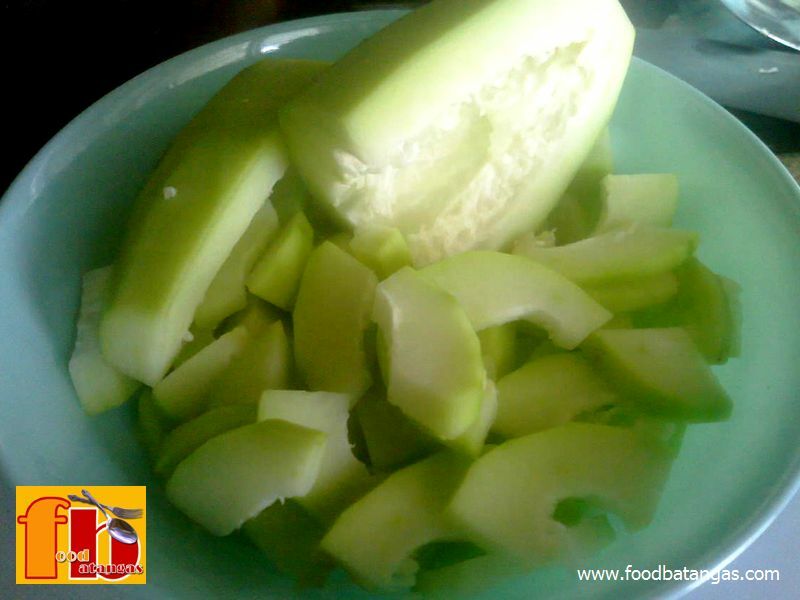 Preparation of this dish is a bit fussy because of the peeling and slicing required; but cooking is simple and quick. Moreover, as those who will try this will discover, this meal is also surprisingly delicious. Pound head and shells of shrimps using mortar and pestle. Add 1 cup of water when done. Dissolve coconut powder in 2-3 cups of warm water. Boil liempo in half a cup of water in a large wok or skillet until the water fully evaporates. Once the water has evaporated, keep stirring until the lard has been drawn out and the pork has become golden brown and crispy. Set to one side of the wok. Sauté first the garlic in the lard until golden then add the onions and red chili. Add the fish paste and keep stirring to blend everything together. 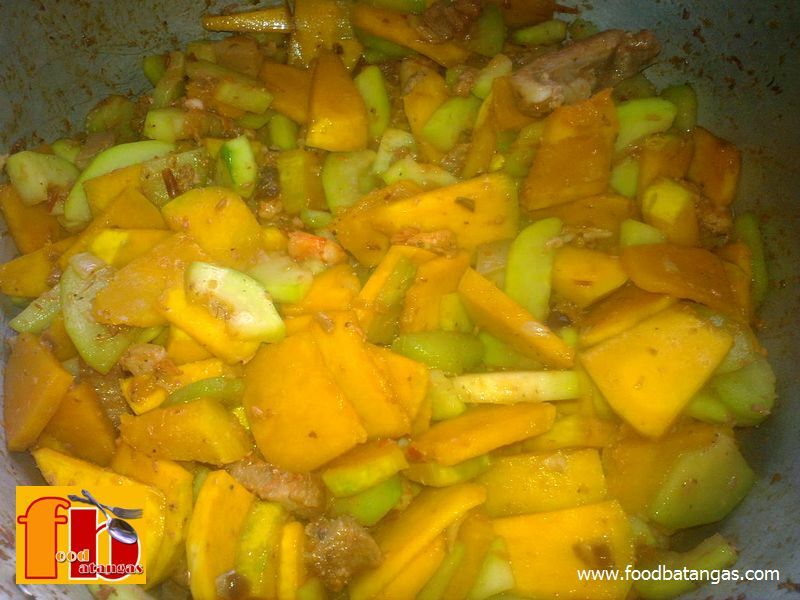 Add the papaya slices and stir occasionally for 2-3 minutes. 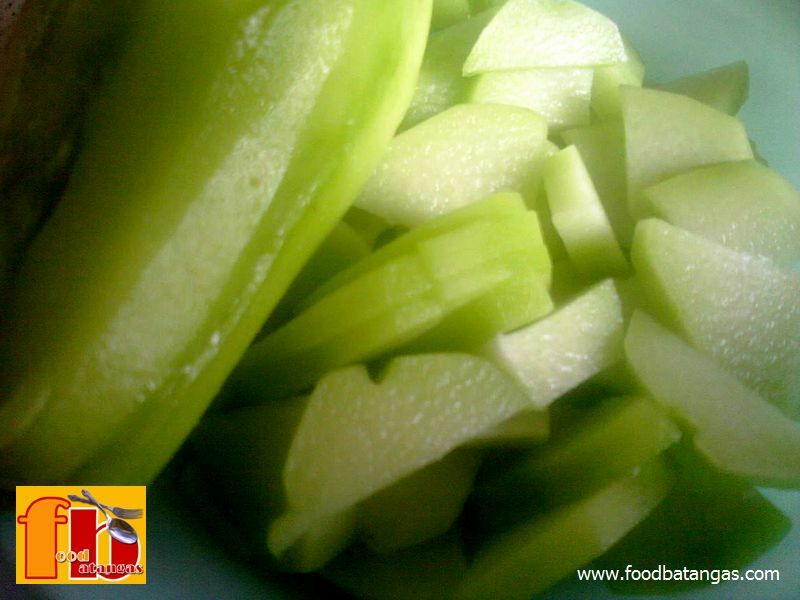 Add the sliced chayote and squash and stir occasionally for another 2-3 minutes. Pour the water with the crushed shrimp shells and heads to the wok or skillet. Use a sieve when pouring to separate the shells and heads. These are to be thrown away. Bring to a boil and simmer for 3-4 minutes. Stir occasionally. Add the coconut milk and simmer for 2-3 minutes. Stir occasionally. Makes 4-5 servings. Got a recipe that you wish to share? 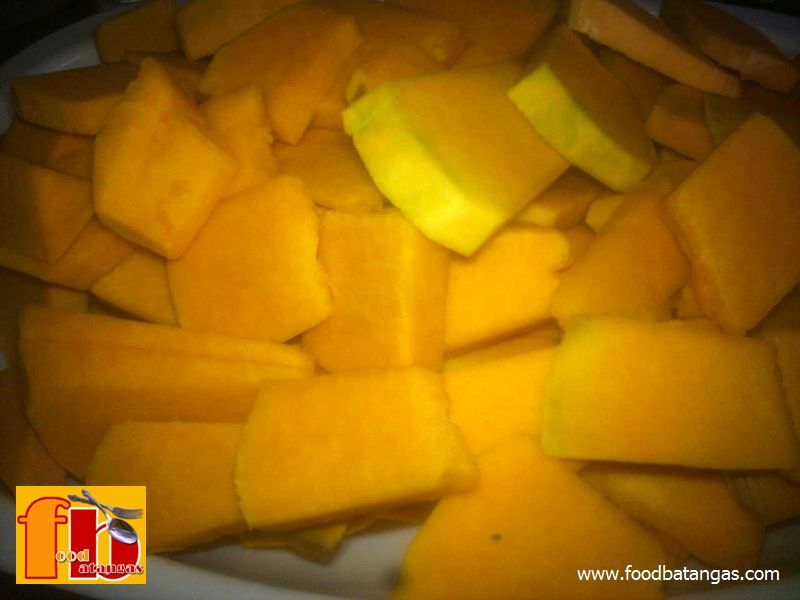 Send this with photos to contact@foodbatangas.com.